Amb. Daniel Kurtzer is a member of MEI's International Advisory Council. This piece was first published by the Woodrow Wilson School of Public and International Affairs. With the flurry of daily tweets coming out of the White House, an important piece of news was truly underreported last week. On Feb. 10, the Trump administration blocked the appointment of Dr. Salam Fayyad, former prime minister of the Palestinian Authority, to become the United Nations special representative for Libya. There are two explanations: Either the administration did no research or background check before taking this knee-jerk action, in which case it should now do its homework and reverse a bad decision. If, however, the administration acted after careful consideration, this is yet another worrying sign of plain stupidity and blatant bias on the part of our newly sworn-in administration. I met Fayyad in June 2002 when I was serving as the United States ambassador to Israel, and he was appointed as finance minister of the Palestinian Authority (PA). 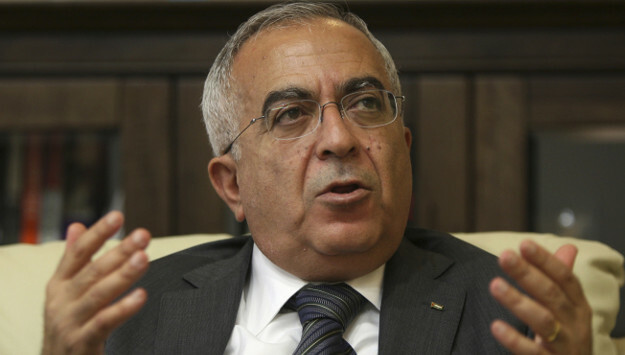 Fayyad assumed office in the midst of a very severe financial crisis in the PA, which was almost insolvent. The background to Fayyad’s appointment and, more importantly, what followed, should convince the Trump administration to issue a mea culpa, apologize to Fayyad and welcome his U.N. appointment. The PA financial crisis started in September 2000, shortly after the outbreak of the second Palestinian Intifada or uprising. In response to Palestinian violence, Israel suspended the payments of customs and taxes that it was collecting at Ashdod port on Palestinian imports. This arrangement had been agreed on in 1994 as part of the Oslo peace process, and it had worked efficiently for about six years. The collected fees, totaling more than $100 million monthly, became the financial lifeline of the Palestinian Authority — far larger and more important than international aid. Israel’s decision to suspend these payments was not taken lightly by the Israelis: They knew how important these payments were to the health of the PA but argued that Israel could not be expected to provide the funds that Palestinians were using to purchase weapons and fund terrorism and violence against Israelis. The Israelis kept an accounting of the unpaid funds and deposited them in an escrow account. Efforts to persuade Israel to release the sequestered funds and resume monthly payments ran into a problem: They did not trust the then-president of the PA, Yasser Arafat, to manage the money properly and thus, as long as he controlled all Palestinian finances, Israel refused to release the sequestered funds. Enter Salam Fayyad, a well-known and highly respected official, with a Ph.D. from the University of Texas and a position with distinction in the World Bank and chairman of a large Arab bank. Under tremendous pressure from inside Palestine and from the international community, Arafat appointed Fayyad to take charge of Palestine’s finances. The transformation was immediate: Fayyad put the Palestinian budget online and promised transparency in the management of the economy, a welcome relief from the corruption and cronyism prevailing under Arafat’s rule. After discussing the impact of Fayyad’s appointment with the American Consul General in Jerusalem, I invited Fayyad and a senior Israeli official for lunch at my residence within a couple of weeks of Fayyad’s appointment. During the lunch, I asked straightaway whether an opening had been created by Fayyad’s appointment to start discussing a process for resuming the monthly payments and drawing down the sequestered funds, which by then totaled between one and two billion dollars. The ice having been broken, senior Israeli officials and Fayyad started intensive negotiations, often involving me and Embassy experts, designed to find a formula to solve the problem. The Israelis wanted, and Fayyad agreed to, full transparency with respect to the PA’s utilization of the transferred funds. The Israelis demanded, and Fayyad agreed to, an international accounting firm to sit in Ramallah and oversee Palestinian finances. At the request of the two sides, the United States agreed to cover these costs. Within a few months, Fayyad and the Israelis reached agreement, the monthly payment resumed and the drawdown of sequestered funds began. Trust had been created between the two sides, so much so that they agreed there was no need for the international accountant. This is the Salam Fayyad that the Trump administration blackballed, the same Fayyad who administered Palestinian finances with care and integrity, the same Fayyad who was appointed as Palestinian prime minister and who earned the trust of the Israeli government headed by Ariel Sharon. Indeed, it is the same Fayyad who emerged from the maelstrom of Palestinian politics as incorruptible and universally respected. Dr. Salam Fayyad deserves a hearty thank you from the United States for his service in the cause of good government and peace. Dr. Fayyad deserves strong U.S. support as the UN’s special representative to Libya.